Tracy here with a matching set of Card, Gift/Treat Box and a Bottle Tag using the beautiful and my new favourite Pion Design collection from “Glistening Season”. I have used Pion Design Palette Grey I and Pion Design Palette Blue V for bases and diecuts which match this collection perfectly. This is a tie bottle tag which I think is suitable for both male and female. Hope you like my set today. OMGosh….how beautiful, all 3 of the projects you created! They are just stunning and I love each and everyone of them! 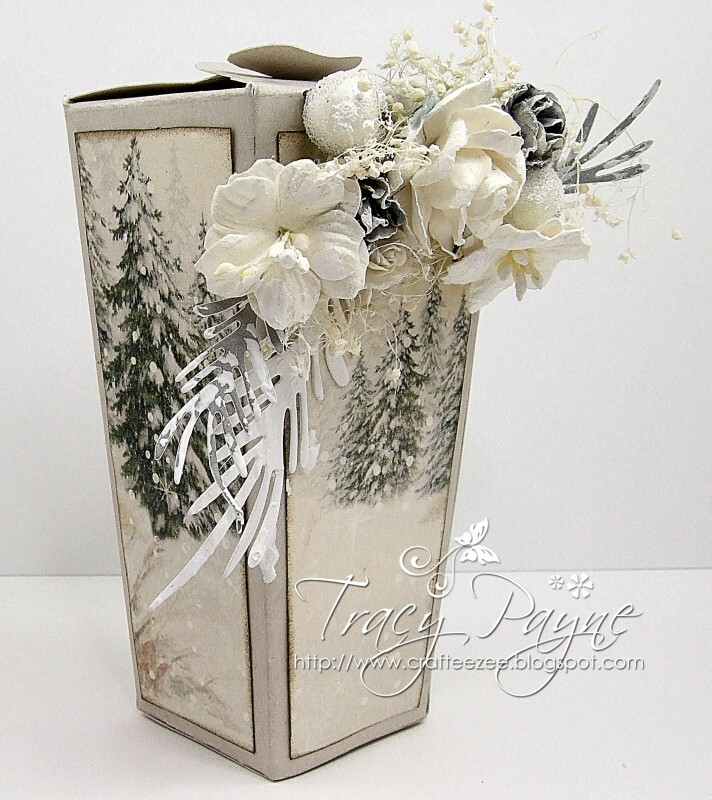 Of course I love the papers, Glistening Season, by Pion Design.